BHOGIREDDI VARALAKSHMI AND OTHERS . Vs. MANI MUTHUPANDI AND OTHERS . Petitioner: BHOGIREDDI VARALAKSHMI AND OTHERS . Respondent: MANI MUTHUPANDI AND OTHERS . Aggrieved by the inadequacy of compensation awarded by the Motor Accident Claims Tribunal (for short ‘the Tribunal’) and the High Court, the petitioners have filed this Special Leave Petition. Taking note of the fact that the deceased was aged 52 years, the Tribunal in the award dated 22.10.2008, declined to grant any addition for future prospects in the salary and adopted the multiplier as “6.31”. An amount of Rs.15,000/- was granted towards loss of consortium to the wife and Rs.2,500/- towards funeral expenses. The compensation amount was to carry interest at the rate of 7.5 per cent per annum. 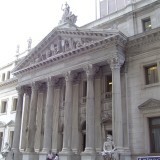 The claimants/petitioners, not satisfied with the compensation, approached the High Court. As per the impugned Judgment dated 24.03.2015, the appeal was disposed of. The learned Judge took note of the decision of this Court in Sarla Verma (Smt.) and others v. Delhi Transport Corporation and another in adopting the multiplier and observed that going by the said decision, the multiplier to be applied is “11”. However, taking note of the fact that the deceased would have retired at the age of 60 years, fixed the multiplier as “8”. In the matter of consortium, it was observed that “… deceased died not in the prime of his youth but at his middle age”, and hence the widow was granted consortium of Rs.25,000/-. No addition was made towards future prospects. It is shocking and disturbing that the learned Judge declined to follow the principles laid down by this Court in unmistakeable terms in Sarla Verma (supra) as far as multiplier is concerned. We do not want to say anything more. Therefore, in this case, the multiplier is taken as “11”. As far as consortium is concerned, this Court in Rajesh and others v. Rajbir Singh and others has held that consortium is the right of the spouse to the company, care, help, comfort, guidance, society, solace, affection and sexual relations with his or her mate. It was also held in the above case that the children are also entitled for award of compensation for loss of love, care and guidance. This emotional element has nothing to do with the expected life span. Having observed that it was time to revisit compensation granted under the conventional heads, it was held that the widow was entitled to loss of consortium to the tune of Rs.1,00,000/-. Towards loss of love, care and guidance for minor children, an amount of Rs.1,00,000/- was also awarded. It was also held in Rajesh (supra) that in case, the deceased is above the age of 50 years, the enhancement of 15 per cent was to be given towards loss of future prospects. Close to Rajesh (supra), there was another decision of this Court, again of the strength of three Judges, in Reshma Kumari and others v. Madan Mohan and another, rendered on 02.04.2013. While Rajesh (supra) went a step ahead of Sarla Verma (supra) in awarding 15 per cent enhancement towards loss of future prospects, the decision in Reshma Kumari (supra) reaffirmed the principles laid down in Sarla Verma (supra) which declined any addition towards future prospects after the age of 50 years. It may be noted that there was no reference of Reshma Kumari (supra) in Rajesh (supra), apparently, since the said judgment had not been reported by the time Rajesh (supra) was rendered. On 02.07.2014, a two-Judge Bench of this Court in National Insurance Company Limited v. Pushpa and others, taking note of the conflicting positions as far as addition of future prospects after the age of 50 years, in Reshma Kumari (supra) and Rajesh (supra), has made a Reference of this aspect to a larger Bench. We are informed that the Reference is still pending. 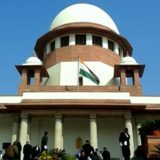 Under the above circumstances, we are inclined to pass an interim Order on compensation as far as the undisputed areas are concerned and then post this petition after the Reference is answered by the larger Bench. Therefore, by way of an interim measure, it is ordered that the petitioners shall be entitled to enhancement of compensation by fixing the multiplier as “11”. The widow shall be entitled for loss of consortium to the tune of Rs.1,00,000/- and the children together are entitled to compensation of Rs.1,00,000/- towards loss of love, care, guidance and protection. The compensation shall carry interest at the rate of 9 per cent from the date of filing of the claim petition. The Insurance Company shall re-work the compensation as above and deposit the amount with the Tribunal within three weeks. On such deposit, it will be open to the claimants to withdraw the same. As far as enhancement under the head “future prospects”, post this petition after the Reference is answered by the larger Bench. New Delhi; March 3, 2017.